Series Summary: By combining children’s natural curiosity with prompts for keen observations and quick experiments, Physical Science for Kids provides a fun introduction for kids to the physical science that rules our world! Great for beginner readers or as a read aloud for younger children. Children are introduced to physical science through detailed illustrations paired with a nonfiction narrative that uses fun language to convey familiar examples of real-world connections. Encourages the development of important skills, including observing, connecting, problem solving, and model testing. 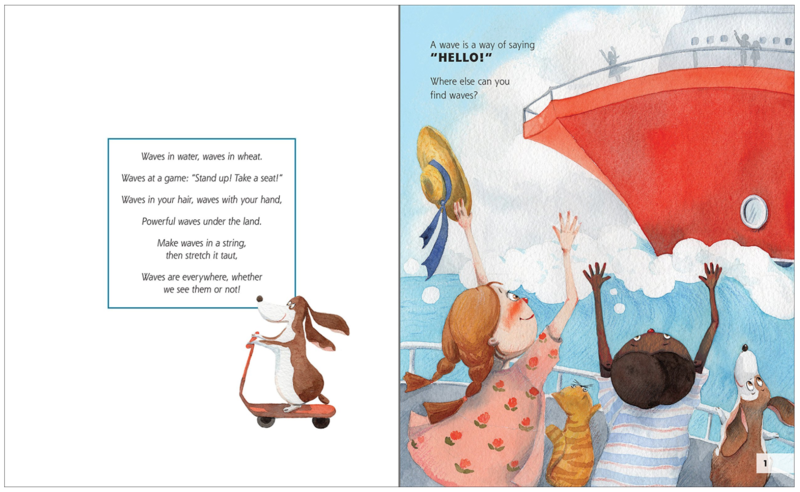 Explores vocabulary, encouraging readers to make language arts connections and conclusions. Visually stimulating, detailed illustrations make this an excellent choice as a read aloud for younger children. Waves Summary: You can find waves just about everywhere you look! 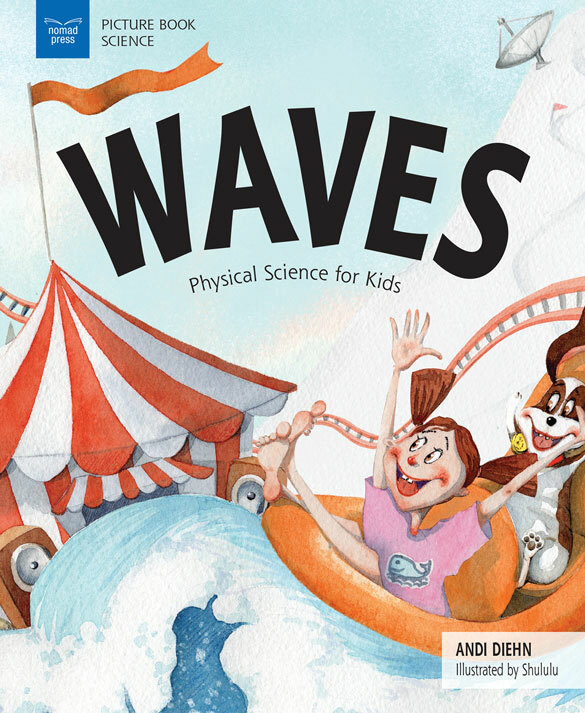 Take a tour of the world of waves in this fun, illustrated introduction to the concept of waves and energy and their presence in our world. This installment in Picture Book Science encourages readers to observe lots of different kinds of waves, including those found in water, wheat, a baseball stadium, and even invisible waves! Forces Summary: Our world operates the way it does because of forces. Gravity, magnetism, pulling and pushing, and friction are some of the many forces that affect the way we move on Earth. They even affect the Earth itself-without gravity, the world would eventually fly apart! 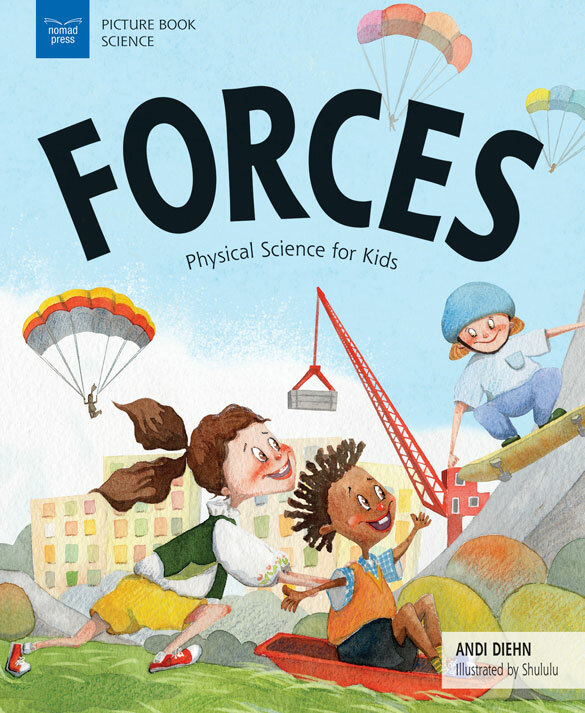 In Forces: Physical Science for Kids, readers observe different types of forces, including gravity, magnetism, pulling, pushing, and friction. Energy Summary: When you feel like running, leaping, and singing, people might say you have a lot of energy. And you’re not the only one! Energy is the stuff that makes everything live and move. People, animals, plants-we all need energy to live! 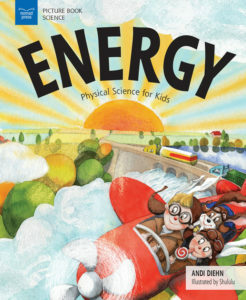 In Energy: Physical Science for Kids, readers discover different forms of energy, including heat, light, and chemical energy, that keep the world working and moving. 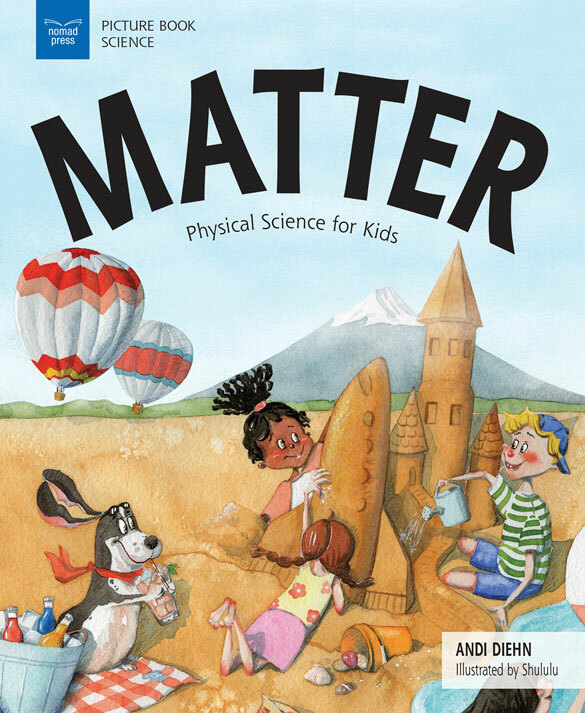 Matter Summary: Everything you can touch and hold is made up of matter-including you, your dog, and this book! Matter is stuff that you can weigh and that takes up space, which means pretty much everything in the world is made of matter! 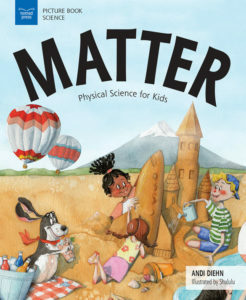 In Matter: Physical Science for Kids, readers discover the basic building block of most of the material they come in contact with every day, including themselves-matter! 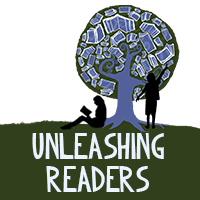 Andi Diehn is a writer, editor, and book critic with a BA in English and an MFA in Creative Writing from Vermont College. She has published dozens of articles, stories, and essays and spent many hours volunteering in her son’s classrooms. She lives in Enfield, New Hampshire, with her family. Shululu (Hui Li) has always been driven by curiosity. She received a PhD in computational chemistry from the University of Chicago. Her research has been published in the world’s most influential science journals, including Science and Proceedings of the National Academy of Sciences. 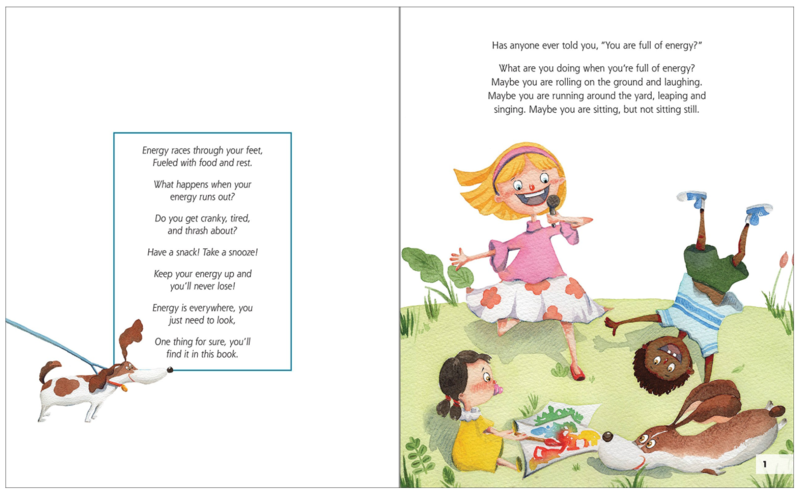 She is devoted to bringing joy and science to young readers through fun illustrations! She lives with her husband in New York, NY. 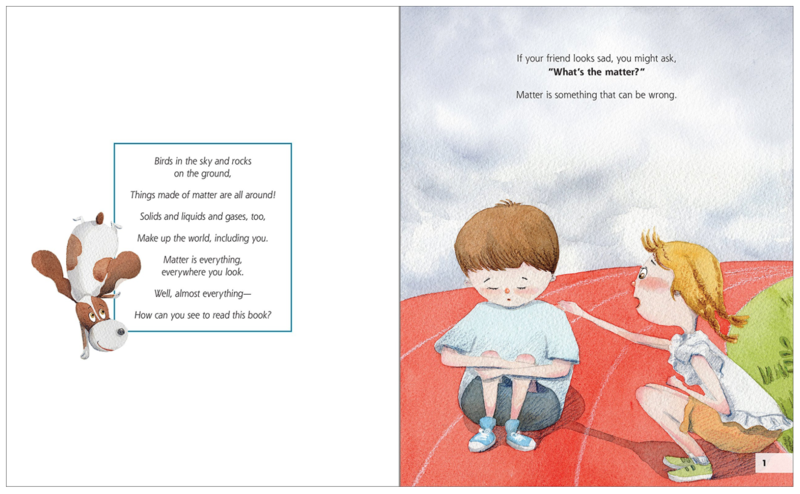 Review: Young children have so many questions about the world and how everything works. Curiousity runs wild in their brains, but more than anything they just want to learn and absorb. This series is a must get for parents, classrooms, and libraries because it addresses many of the questions that kids have. 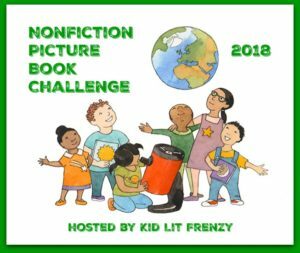 Each book begins with a poem that introduces the topic then is followed by lyrical text going through scientific information about the topic of the book. 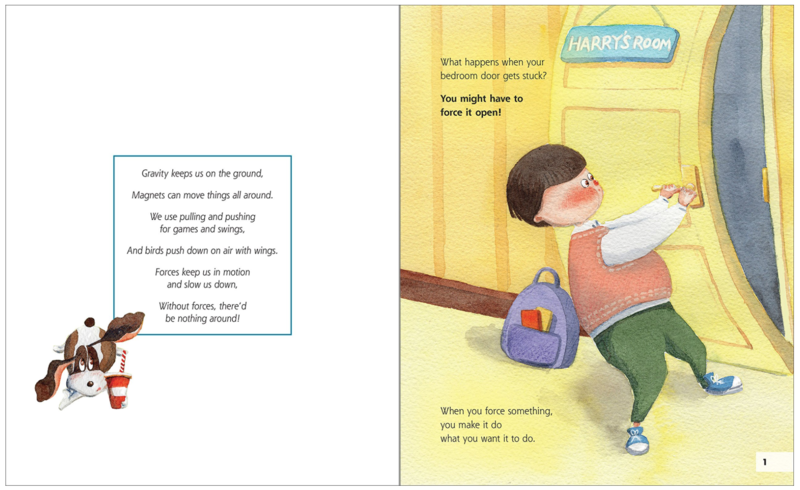 Mixed in with the text are “TRY THIS” sidebars with fun experiments for kids to take the text into the real world. How do we know something exists if we cannot see it? What would the world be like if there was no energy? How are magnets and gravity related to each other? How is energy related to waves? How do science activities help you learn about energy? The word “matter” can mean lots of different things. Can you think of other words that are the same but have different meanings? How might we weigh things that are too large to hold in our hands or put on a scale?